Back in August, I played Danganronpa on the PSP and loved it. And after playing a bit of it on the Vita TV at TGS, I was more than a little excited to spend some quality time with its updated graphics. But even I was surprised at just how much better the game looks on the Vita when I compared them side by side. Not only is everything clearer and less pixelated (as you'd expect on any Vita re-release), but it seems that the game's special images have received a major touch up as well. But just how much better does the game look on the Vita when compared to the PSP? Check out the gallery below to see for yourself (the top images are PSP, and the bottom are Vita). Danganronpa 1・2 Reload was released for the Vita in Japan on October 10, 2013. 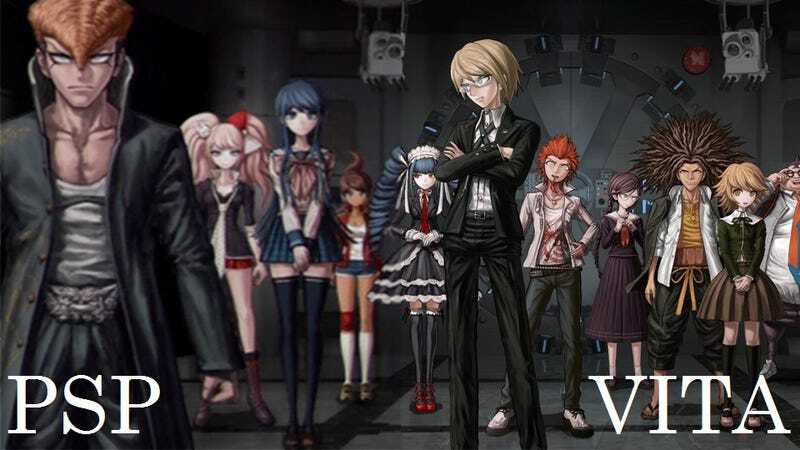 The first game in this Vita collection, Danganronpa: Trigger Happy Havoc will be released in the West in early 2014.